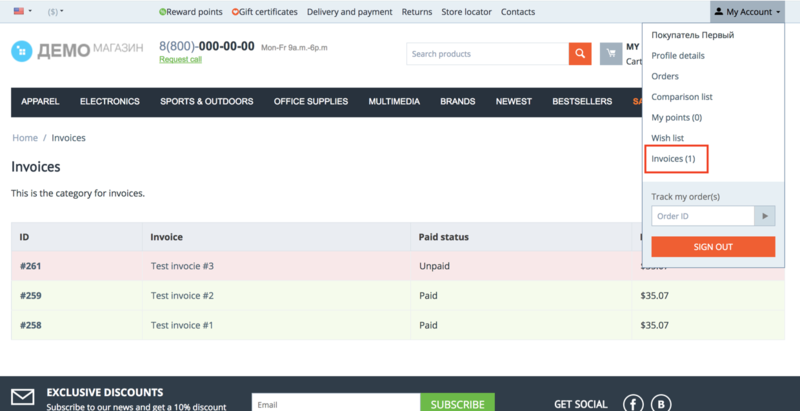 Now you can not only sell products but also accept payment for services from your customers through your online store. 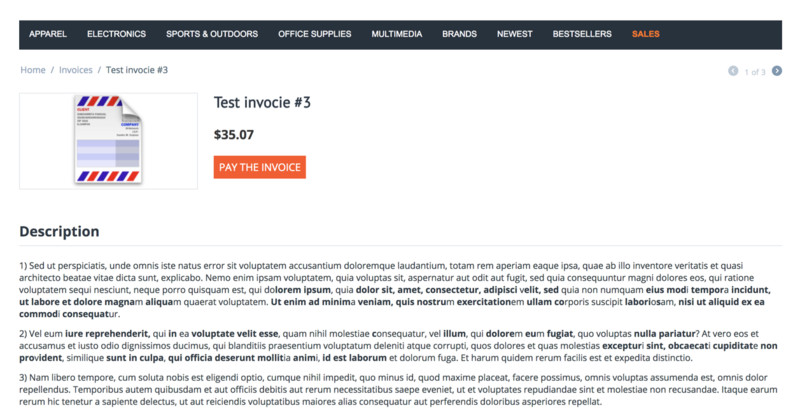 This CS-Cart Module allows you to issue invoices to customers and clients with a user-friendly interface. The administrator will always know, paid or not invoiced. 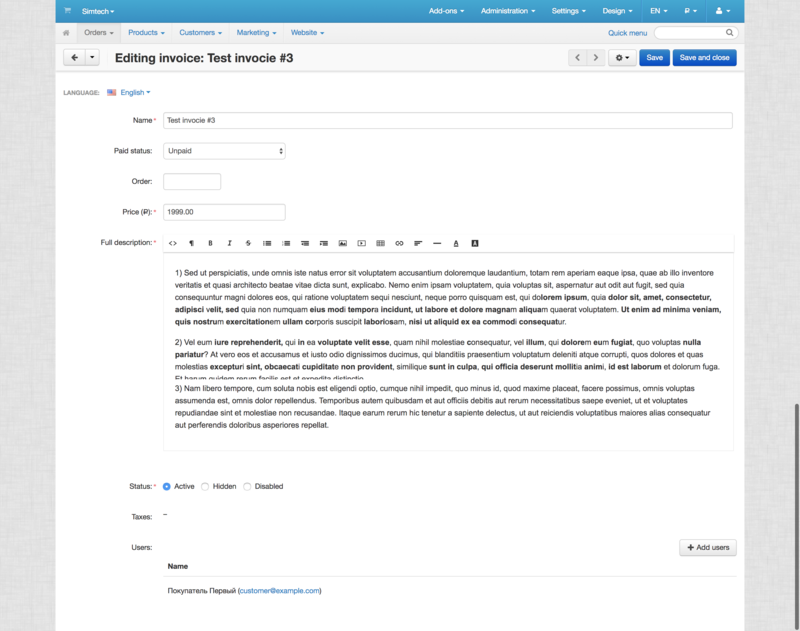 When an account is created, the buyer will be seeing it in a special section. Convenient for those who besides the sale of goods, engaged in the provision of services.